This past week marks my one-year anniversary being a part of Women of Denver, a growing professional organization in town founded by the amazing Krystal Covington. I was a little hesitant at first to join the group, but over the past year, I have made so many meaningful connections through the organization: not only potential and current clients, but great friends. Krystal has been a wonderful force of motivation for me, encouraging Hashtagitude to expand past social media services and provide video services (by way of Ryan), plus getting me out of my shell and doing workshops and interviews within Women of Denver. While reflecting upon this one-year anniversary this past week, I came to the realization that the reason why I have enjoyed my time here in Denver over these past four (almost five!) years has been because I have found “my people” living here. When I lived in San Francisco–while still an enjoyable experience–I never felt like I truly belonged to a constant group of people I could turn to on a regular basis. Yes, I still have several good friends (and also family) living in the Bay Area, but I never felt like I had a solid and constant group of people, either professional or personal, that I could spend time with. 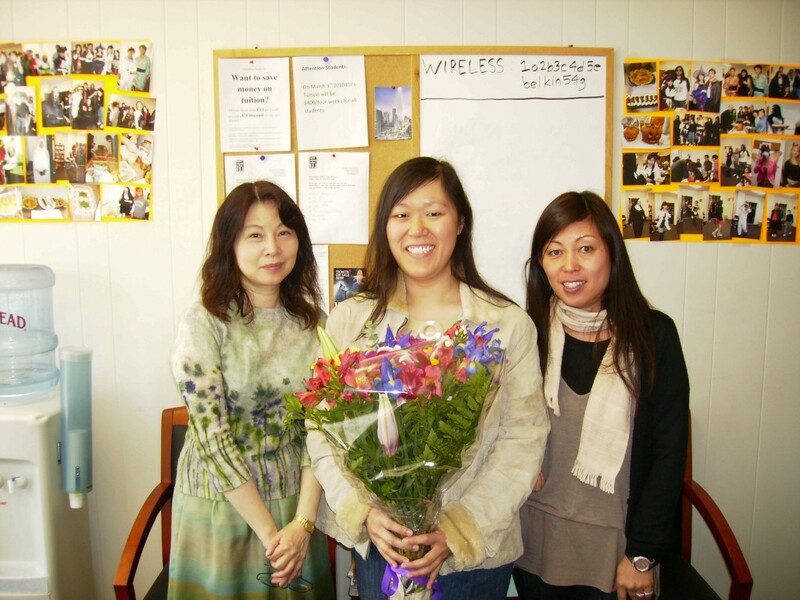 My last day at ELI in 2010; got flowers for my departure. 🙂 I miss Rimi and Masako! I made a lot of friends while working at ELI, but many of them were the students, who came and went as they completed their program at ELI. I felt a sense of loss when students would move on from the school, either going back to their home countries or moving on to the local city college/universities. Plus, during the time I lived in San Francisco, my own job situation wasn’t too steady either, so as soon as I felt like I was making friends at one job, the job would soon be over or someone (or myself) would move on to the next job. Moving to Denver in 2011, at first I felt like I was again in transient situations: I only did one year of graduate school at the University of Denver, so once I left the program, I felt like I lost some good connections there. I floated around in tech/startup meetups for about a year and a half, trying to find my people in those groups, but I never felt like I belonged in those groups. 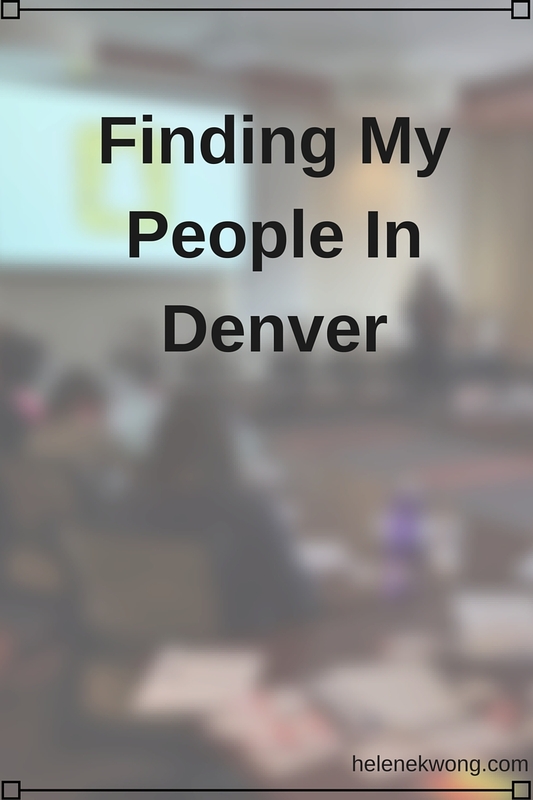 Only when I joined Leads Group 7 of the Denver Metro Chamber of Commerce did I start to feel a sense of belonging: less than six months into being a member of the group, I felt like they were indeed my chosen family here in Denver. To this day, I am still a part of Leads Group 7 and look forward to our weekly meetings on Wednesdays. 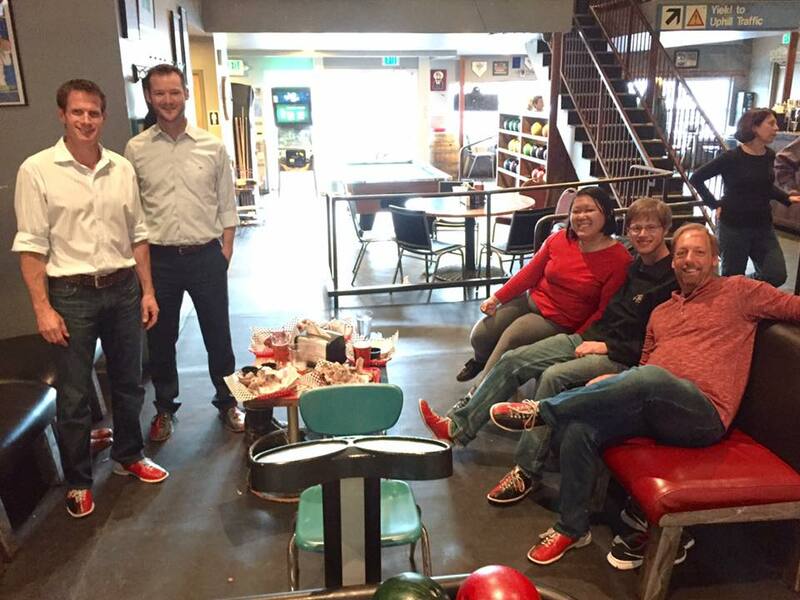 Hanging out with Leads Group 7 this week at our monthly social event. Yay for bowling! I recently joined the Gold Member Alliance Program (GMAP) at the Chamber as well, and am already feeling like the members of the group are also my people; being a part of Women of Denver this past year has definitely shown me that another aspect of my people are also in that group. I am so grateful for these opportunities to be around people who have similar experiences in their work lives (and sometimes even personal lives). Yes, I have found my people!